one-year study guide collection will provide your student with a college-prep level American Literature high school course. It can also be adapted to honors level using the easy-to-follow suggestions in the “how to use this curriculum” introductory material. American Literature comes complete with study guides for nine books, each including background information, vocabulary, supplemental ideas, and answer keys for each guide. This book includes study guides written by Sabrina Justison. You will receive two zipped files. 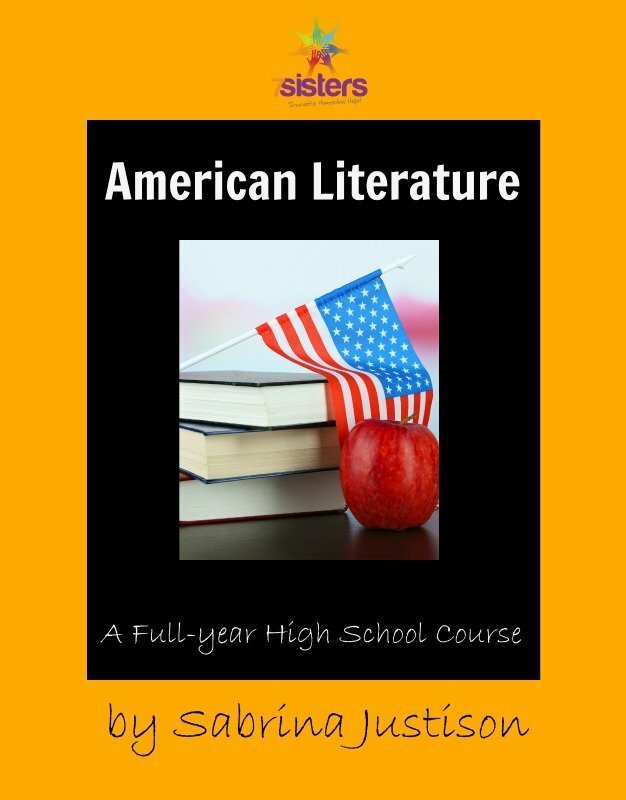 The American Lit file includes the introduction to the course and nine study guides. This is for the student. The Parent Info & AK section also includes the introduction to the course, as well as parent information and answer keys for each of the study guides. The student study guides contain fillable form fields so the student can answer the questions directly on their computer. NOTE: The American Literature books must be obtained separately; this American Literature high school curriculum is comprised of the STUDY GUIDES ONLY to accompany the reading of the books themselves. Most titles can be found in your local library, or if you’d like to order new or used copies of these classics, JUST CLICK HERE . Review by Betsy Spronger at The Curriculum Choice. Review by Cathy Duffy of Cathy Duffy Reviews. American Literature High School e-book text.